With the exception of "play ball," there is perhaps no more exciting phrase in sports than "game seven." And that's what we have tonight: a game seven between two teams sharing a combined 176-year title drought. One way or another tonight, one of the two longest championship slumps in Major League Baseball will end. Which one will it be? By the narrowest of margins, my simulator has the Chicago Cubs as the favorites in tonight's deciding game of the 2016 World Series. 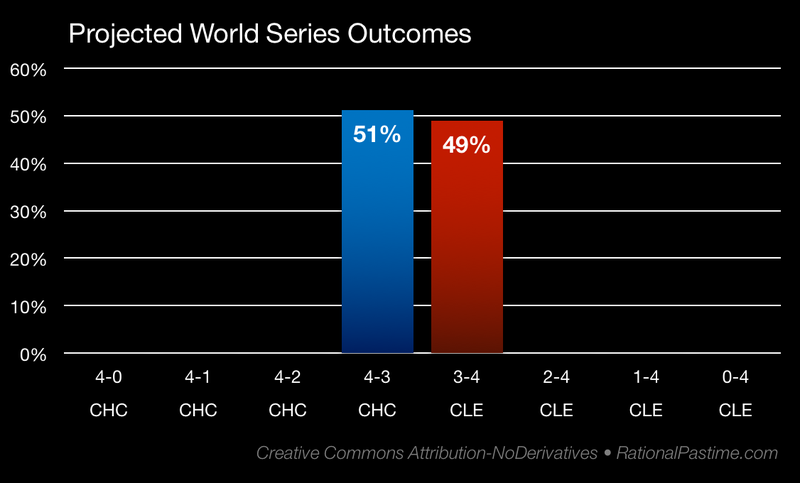 But fear not, fans of the Cleveland Indians: the game is essentially a coin flip. Between the Cubs' superior RPScore and the Indians' home field advantage, the two squads are almost as evenly matched as possible. In theory, this should make for a classic that will echo through the ages. In practice, nothing is assured. 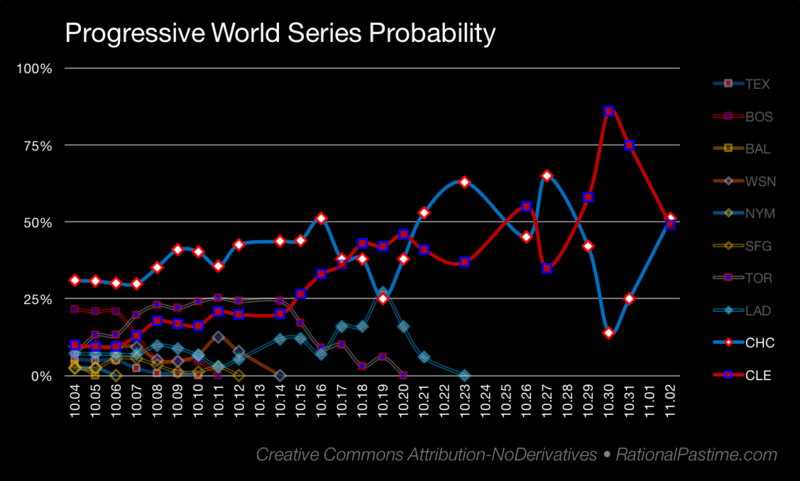 What is assured: RP will be back soon after the conclusion of the 2016 World Series with a recap of the playoffs and the model and simulator's performance this past month. For those of you who have been following my coverage this far, thanks as always for your readership.